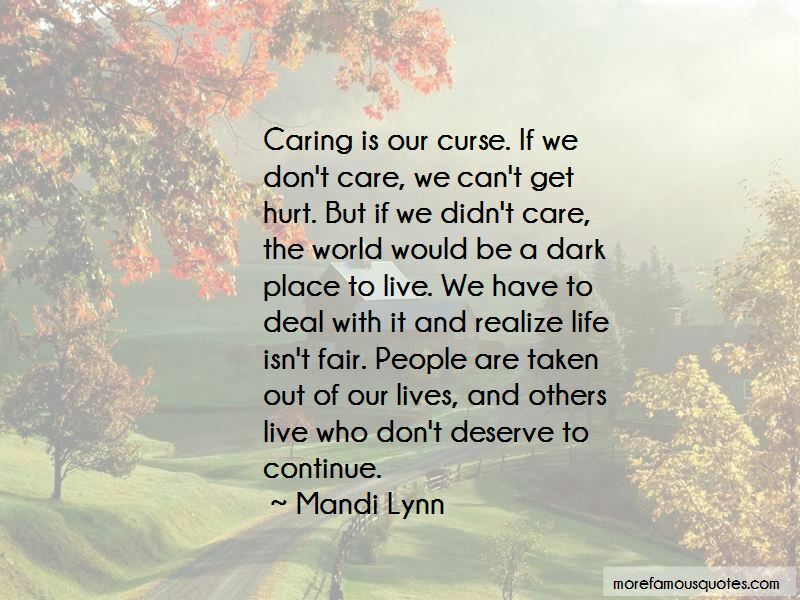 Enjoy the top 12 famous quotes, sayings and quotations by Mandi Lynn. “Sometimes it all becomes too much. Your body and mind will just give way. Part of you may want to blissfully fade into nothing, but you never do. After a while all the memories and emotions make you shut down but never fully disappear—its safer for you this way, to be excluded. Its a time to be alone, to heal, and to find yourself. It doesnt mean youve given up or stopped trying; it just means you know whats best for you. “Sometimes it all becomes too much. Your body and mind will just give way. Part of you may want to blissfully fade into nothing, but you never do. After a while all the memories and emotions make you shut down but never fully disappear-it's safer for you this way, to be excluded. It's a time to be alone, to heal, and to find yourself. It doesn't mean you've given up or stopped trying; it just means you know what's best for you. “Never assume you are alone, because you never truly are. Only when your life has surely ended and your loved ones have forgotten you is when you are gone. Gone from this world and the next. 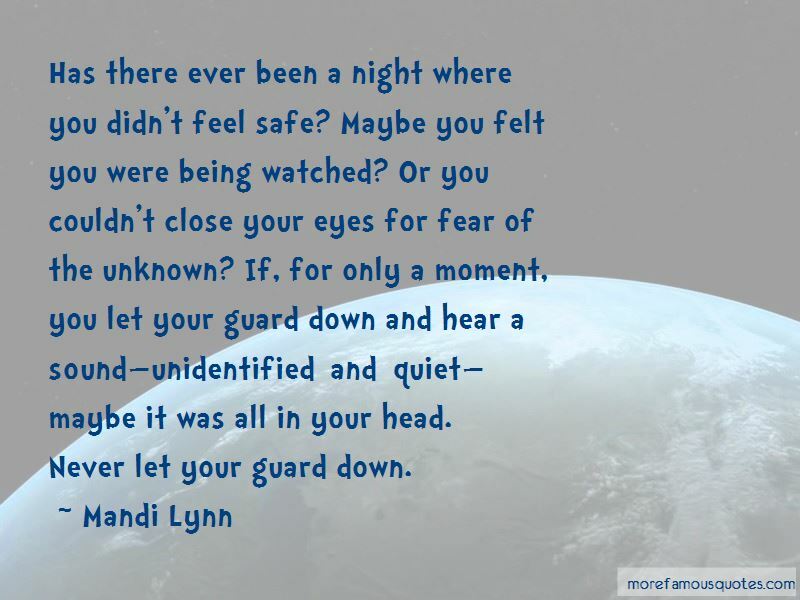 “Has there ever been a night where you didn't feel safe? Maybe you felt you were being watched? Or you couldn't close your eyes for fear of the unknown? If, for only a moment, you let your guard down and hear a sound-unidentified and quiet-maybe it was all in your head. Time passes fast when you're not in step. If you think for a moment that you can get it back, wake up-you can't. Some people think time is theory. Everything is a cycle of events happening over and over. If you think this is true, then be aware and learn from your mistakes. Do you feel it? The sense of being watched? I do. 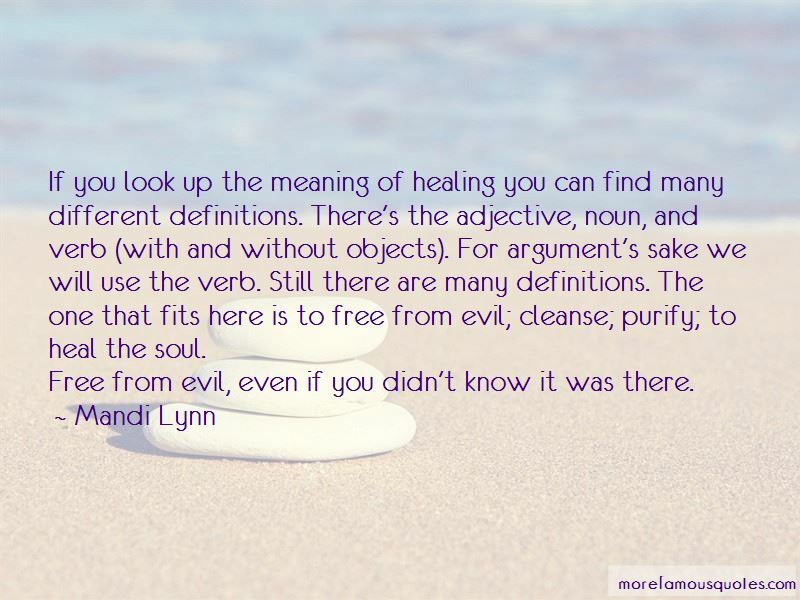 If you look up the meaning of healing you can find many different definitions. There's the adjective, noun, and verb (with and without objects). For argument's sake we will use the verb. Still there are many definitions. The one that fits here is to free from evil; cleanse; purify; to heal the soul. Free from evil, even if you didn't know it was there. 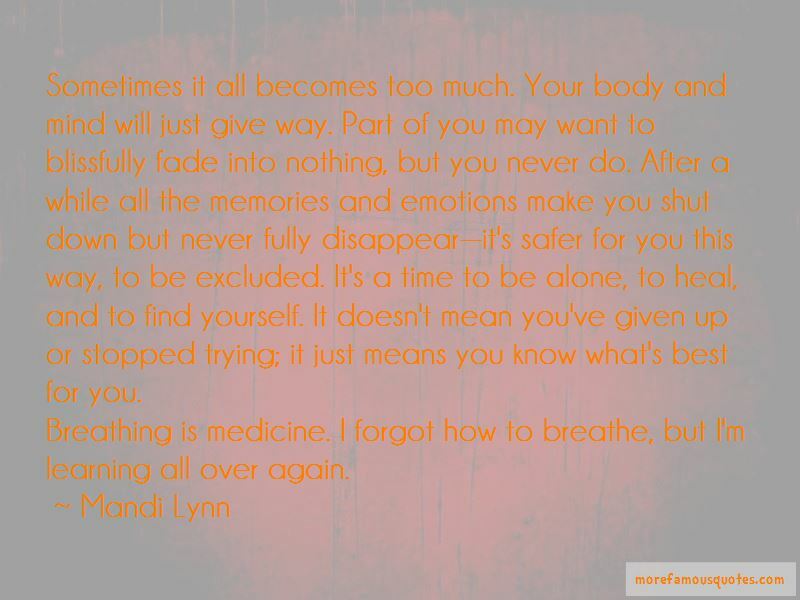 Want to see more pictures of Mandi Lynn quotes? Click on image of Mandi Lynn quotes to view full size.